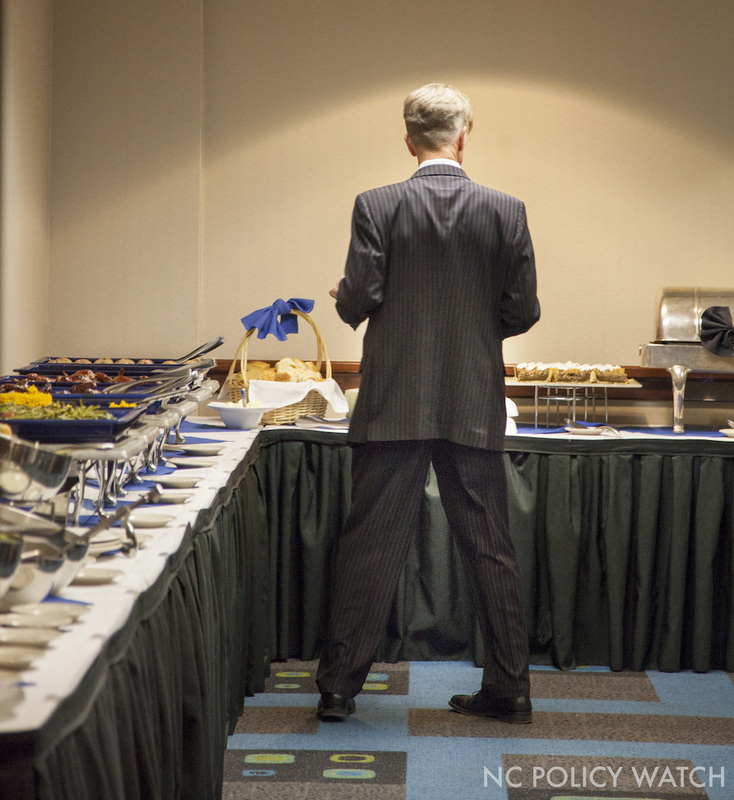 Of the hundreds of people who crammed into a public hearing Tuesday on offshore drilling, only a few veered into a small, quiet suite, where they would be served a buffet dinner and waited on by their personal bartender. The American Petroleum Institute, under the guise “Keep Exploring North Carolina,” held a low-key reception for about 20 drilling supporters, most of them decked out in suits or cocktail attire. 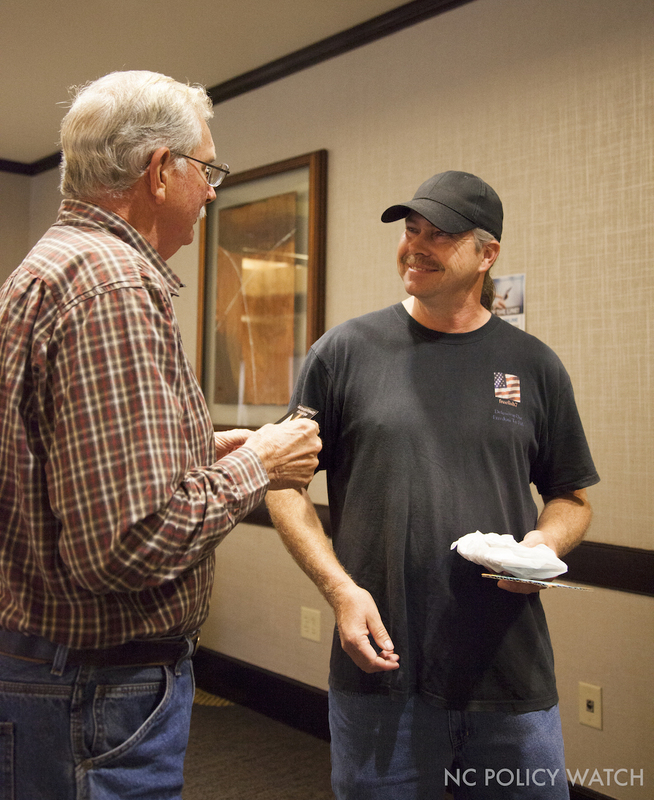 The shindig was hosted by API and Thom Goolsby, a former lawmaker from New Hanover County and a long time advocate for — and beneficiary of — the energy industry. However, Goolsby had no interest in speaking publicly about the cause that he champions. But directly across the hall, the 400 or so opponents of offshore drilling who packed into three ballrooms were very interested in discussing it. Many had arrived by bus, from towns along the Outer Banks, Morehead City and Wilmington, because the US Department of Interior had declined to hold a hearing on the coast. So they made the three-hour trip inland, only to find that the structure of the “hearing” resembled a science fair, and that Bureau of Ocean and Energy Management officials would answer questions, but accept their comments only online. 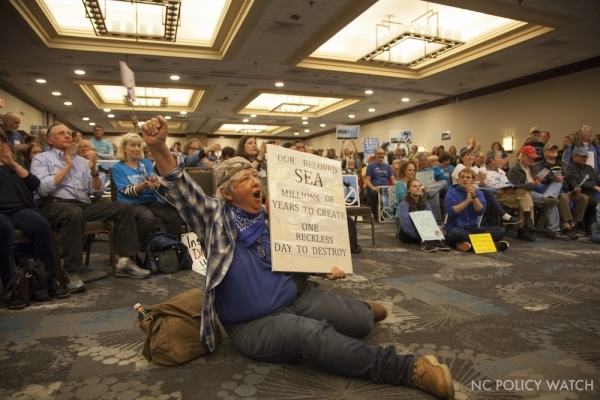 Coastal residents packed Monday’s hearing in Raleigh to voice their opposition to offshore drilling. With pent-up frustration, then, the crowd spontaneously chanted “Save Our Coast,” at a rally sponsored by several environmental groups. A parade of state and local officials addressed the rally, underscored residents’ concerns about the potential economic and environmental damage of offshore drilling and energy exploration. 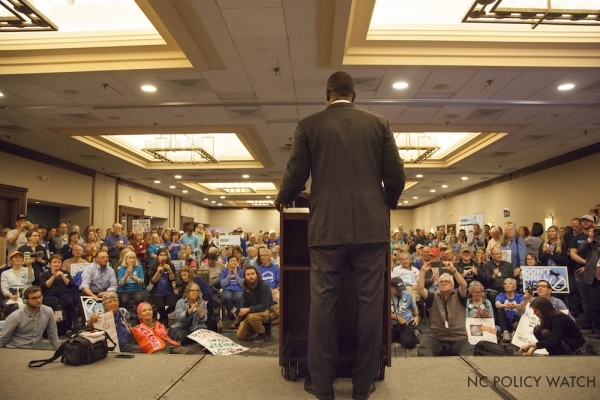 “Secretary Zinke has said a single industry is above the people and the economy of North Carolina,” said NC Department of Environmental Quality Secretary Michael Regan. Both Regan and Gov. Roy Cooper have sent letters to and met with Zinke urging him to leave North Carolina alone. NCDEQ Sec. Michael Regan spoke on his department’s opposition to offshore drilling before a crowd of 350, many from the coast. He’s unconcerned about potential environmental or economic consequences. “I don’t know that there are going to be any,” Carter said. History, though, indicates there will be. Spills are not unusual — federal figures report 335 spills from 2006 to 2015 alone. But it was the 2010 BP Deepwater Horizon disaster — five million barrels of oil spilled, devastating parts of the Gulf Coast — that leaves many states wary of the drilling risks. Nonetheless, last year, the Trump Administration began rolling back safety rules established by the Obama administration after Deepwater. 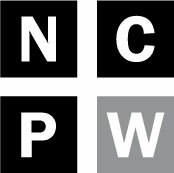 These rules included third-party certification of safety measures and procedures. The North Carolina coast, which is part of the Mid-Atlantic Outer Continental Shelf, has been off-limits to drilling. Energy companies have tried to explore for oil and gas, but ultimately were stymied by bureaucracy, politics and the courts. But last year, the Trump administration decided to open the Mid-Atlantic, as well as Pacific coastal areas to leasing, over the objections of nearly every state governor. At a series of public hearings hosted by DEQ on the coast last summer, almost every commenter opposed offshore drilling. Economic development and local government officials oppose it because a spill could erase the coast’s $3 billion annual tourism industry. Environmental advocates oppose it because of the potential devastation to sensitive ecosystems, both at sea and onshore. Fishers oppose it because their livelihood depends on an ample and healthy supply of seafood. Commercial fisherman Chris McCaffity (right) worries about the impact of seismic testing on aquatic life. Chris McCaffity, a commercial fisherman from Morehead City, travels 40 to 60 miles offshore for his catch — triggerfish, black bass and tuna. The distance is well within the range where energy companies would erect their drilling platforms and conduct their seismic testing. Energy companies use sonic air guns to map the sea floor and locate potential energy deposits. “There are cumulative effects to blasting,” said McCaffity, who began fishing when he was 11. Although the platforms can serve as artificial reefs, those temporary habitats and the sea life dependent on them are destroyed when the rigs are demolished. The science is clear on the detrimental impacts of seismic testing on aquatic life. The noise, which to humans would be deafening, occurs in rapid bursts and continues for hours. It can travel 2,500 miles — equivalent to the distance from Raleigh to San Francisco. It interferes with fish and sea mammals’ navigation. It stresses them, shutting down their reproductive activity. And recent science shows that even plankton, minute organisms that form the basis of the food chain, could be damaged. Those findings prompted the NC Department of Environmental Quality to temporarily block seismic testing off the coast. State officials then asked four energy companies interested in exploration for more information about the environmental effects, based on the latest science. The four companies that have proposed the testing are Spectrum Geo, Inc., GX Technology, MCNV Marine North America and TGS-NOPEC Geophysical Company. Although the federal government wields most of the authority in leasing the nation’s sea floor, states do have the power of “consistency review.” The review at least allows the states to determine if proposals comply with their respective coastal management laws. If the state objects, the federal government can’t issue a drilling permit, although the US Department of Commerce ultimately rules on appeals and disputes. According to the Bureau of Labor Statistics, about 77,000 people were employed in non-supervisory jobs in the U.S. in the oil and gas industry last year. Supervisors, scientists and engineers earn the most money —a median of more than $120,000 annually — with rank-and-file employees earning a median annual income of $39,000 to $64,000, depending on the skill level. And many of the jobs are temporary, particularly those in construction. Nor is there likely to be a shortage of jobs; the average age of an oil and gas worker is 45, according to federal statistics. As those people leave the industry or retire, there could actually be a job glut. First, life expectancy in colder climates, such as in Scandinavia, is an average of 81. Compare that with the tropical Philippines, where the average life expectancy is 68. Second, temperature is not the determining factor in the health of these countries’ citizens: Access to health care and sanitation, war, violence: These affect length of life far more than average yearly temperature. However, Timm does have a point that climate can affect life expectancy. As fossil fuels emit greenhouse gases and contribute to climate change, parts of the world will warm dramatically — in some places to unhealthy, even intolerable levels. If emissions continue at the current rate, average summer temperatures in Raleigh in 2100 are forecast to be 10 degrees higher — 96 degrees.